Thursday, October 11, 2018 is Great Lakes Apple Crunch Day. The purpose of the day is to celebrate National Farm to School Month by crunching into locally and regionally grown apples. Everyone, regardless of your age, is welcome to Crunch! Here are some details from Wisconsin who coordinates this multi-state event. 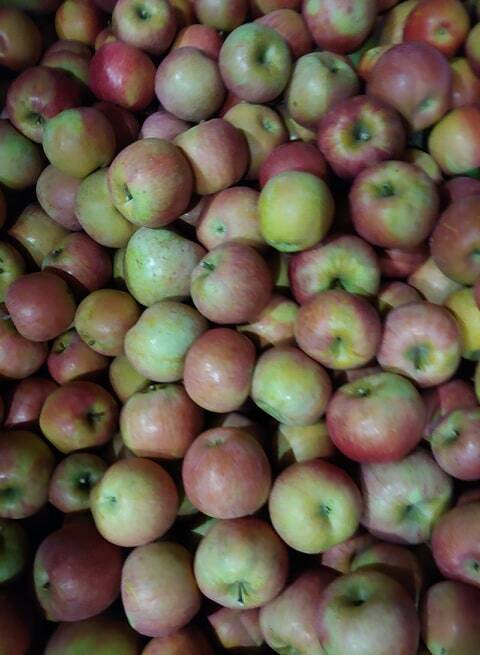 Details: Celebrate National Farm to School Month by crunching into apples at NOON on Thursday, October 11. Everyone is welcome to Crunch! Although we aim for a collective Crunch on October 11, you are welcome to Crunch any day or time in October that works for you. In addition another web-resource that is being promoted this fall is: https://ohioapples.com/ This website will connect you with local orchards. You are able to search by GPS, by county, by orchard or by keyword. There is also information about apple nutrition, recipes and information on handling and storing Ohio apples. So whether you take a crunch tomorrow as part of a larger event, be sure to enjoy some local apples before the season disappears. Happy National Apple Crunch Day - one day early!